Author Elinor Lipman will talk with characteristic good humor about the journey from writer-hopeful (starting at Lowell High School) to award-winning novelist, and other brushes with the imps of fate. Elinor Lipman was inducted into the Lowell High Distinguished Alumni in 2005 and profiled in this year’s Salute to Women by the Lowell Sun. In 2001 she earned the New England Book Award. Lipman’s 1990 novel Then She Found Me was made into a movie in 2007 starring Bette Midler, Colin Firth and Helen Hunt. On the outside, John Parrish is a highly successful doctor, having risen to the top of his field as department head at Harvard Medical School and Massachusetts General Hospital. nside; however, he was so tortured by the memories of his tour of duty as a marine battlefield doctor in Vietnam that he was unable to live a normal life. The author delivers an unflinching narrative chronicling his four-decade battle with the unseen enemy in his own mind as he struggled with Post Traumatic Stress Disorder. In 2013, Wendy Johnston decided to take a hike, more accurately a 2,700 mile journey of a life time. Wendy hiked the Pacific Crest Trail, the same trail Cheryl Strayed wrote about in her book “Wild”. 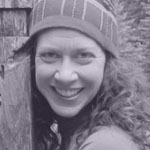 After her 5 month long hike, Wendy decided to share what she learned. Living and walking on a long trail for months where so much of the external stimuli is eliminated, allows for time and space to receive lessons. The story she tells is personal, spiritual, and ultimately about reclaiming one’s life.